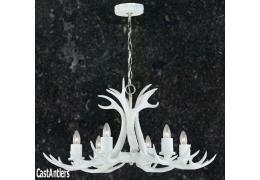 Pure White - This faux antler chandelier measures 31.50" wide and 15.75" tall, weighs just 21 lbs. Chandelier has 6 candle lights. All wiring is internal. Entire fixture UL listed/approved. They require six candle bulbs (Approved for 60-watt candle bulbs). Chandeliers come with 6' of chain, and 16' of lead wire. Chain color is Polished Nickel. Ceiling plate and mounting hardware included. 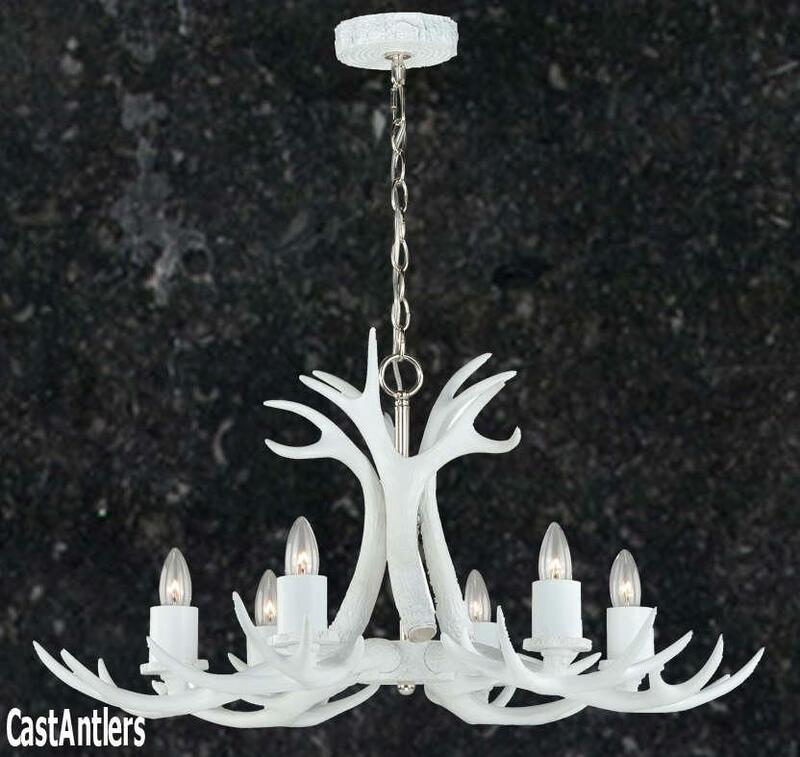 Most of our faux antler chandeliers are available in Pure White. Please call us if you would like a different model that's not listed in white.